Nintendo's interest in 3D graphics stretches far back in time, from the days of the Virtual Boy to the newly-unveiled 3DS. They may have been the only two 3D machines to reach consumers, but that doesn't mean they're the only ones Nintendo cooked up, as an interview with CEO Satoru Iwata reveals. 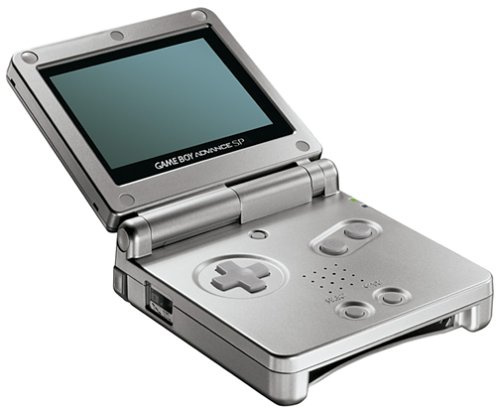 During development of the GameBoy Advance the company added a parallax barrier to the existing GBA SP hardware, but the machine's resolution and graphical power wasn't up to the task, so the project was abandoned at the prototype phase. Ever wonder where that prototype went? Does it sit in an archive at Nintendo's Kyoto HQ? Is it nestled in a multi-millionaire's collection of rare video game hardware? Even better than that: it lives in Satoru Iwata's drawer. The next tryout was with the GameBoy Advance handheld. With that, we could just attach a 3D display to the GameBoy Advance. The prototype is still inside my chest drawer. So we had to give up on that idea because it wasn’t appealing enough to consumers. At last year's Game Developer's Conference Nintendo did a short presentation on its prototype portable hardware, though the 3D-enabled GBA SP was not present, but it's still got a few interesting entries in there. Head over to Wired's gallery for more unseen Nintendo gadgets. Hay, if he don't Want it, I'll Be Happy to take it off his Hands. @JumpMad I would imagine he would AT LEAST have a fairy in a bottle. OT: That's kinda neat. I guess. Talk about the ultimate chest! Dun Dun Dun DUUUUUN!!! They're totally gunna do that n Skyward Sword, I just know it. The final level is gunna b called "Satoru Iwata's Lair"
Yea, nintendo said the've been fooling around with 3D since the Gamecube, they had a 3D version of Luigi's mansion working, but it would require you to have a 3D TV, so they abandoned the idea. nintendo, always ahead of the game. just think, if nintendo was thinking of adding 3D to GBA SP and touch screen to the GBA colour. which are years ahead of what is now available. what do you think that they have planned for the next 10 - 15 years? the mind boggles. it's too bad that it was only a prototype. I think I heard this rumour when the SP was due to launch...but I heard that the "extra" feature was something less impressive. He's probably got a master sword or two and a hook shot in there! I would like that. Can you send it my way, Iwata?